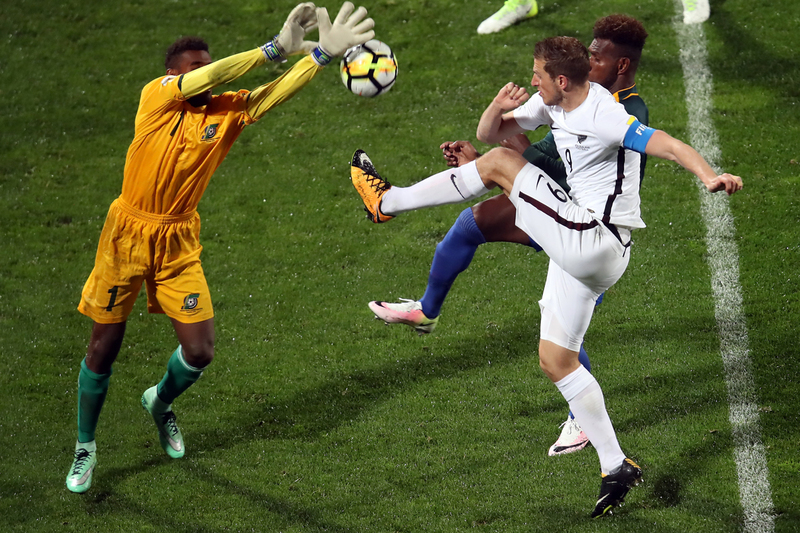 New Zealand hoped to wrap up the home-and-away 2018 FIFA World Cup Russia™ Qualifiers – OFC Stage 3 Final during the first leg in Auckland and with a 6-1 win they’ve set themselves up well for tomorrow’s showdown with the Solomon Islands at Lawson Tama Stadium in Honiara. However, the Bonitos won’t be going down lightly on home soil, with the side keen to show their ever-loyal fans that they’re capable of competing with the professional might of the All Whites. With a match against the regional heavyweights now under his belt Solomon Islands coach Felipe Vega-Arango Alonso stands by his assessment that his side is in a David vs. Goliath situation – amateurs taking on professionals. “The gap between both teams is easy to see. But so is the gap between Oceania football and European football,” Vega-Arango Alonso said. Now, looking ahead to the next leg, recovery for the Bonitos is key. “I have to make sure the players recover properly, both physically and mentally. They are human beings, they’re down and they weren’t expecting a result that was so big in the first leg,” he said. New Zealand had hoped for a buffer of at least three goals, so getting six in Auckland means they’re able to relax a little. But that doesn’t mean they’ll be getting complacent, despite releasing captain Chris Wood as well as midfielders Ryan Thomas and Michael McGlinchey. It opens the door to a number of younger players to try and impress the coach, although the All Whites are travelling light with just 16 players making the trip to Honiara, including late call-up Moses Dyer. But at the least the defensive structure will remain largely the same, with Michael Boxall, Deklan Wynne and Sam Brotherton in the squad along with Andrew Durante, Themi Tzimopoulos and James Musa. Coach Anthony Hudson said while victory in Leg 1 gives his side some wiggle room, he won’t be celebrating until the final whistle. “I’m going to do what I can to not let anyone think that way, or talk that way – out of respect for them to,” Hudson said of the tie effectively being over. Vital Statistics: The Solomon Islands have never beaten New Zealand with the closes on home soil being a 1-1 draw during the group stages of the 2012 OFC Nations Cup. The Players: Goalkeeper Philip Mango is excellent at containing the threat of aerial shots with his acrobatic dives preventing an even heavier defeat on Friday. The inclusion of Micah Lea’alafa should inspire confidence, while veteran Nelson Sale has also earned a call-up for the home leg. Vital Statistics: Only four members of this New Zealand squad have previously played at Lawson Tama Stadium, including Andrew Durante who made his international All Whites debut there. The Players: Goalkeeper Stefan Marinovic will again play a crucial role. Storm Roux was impressive on his return to the side making great overlapping runs and combining well with Monty Patterson.